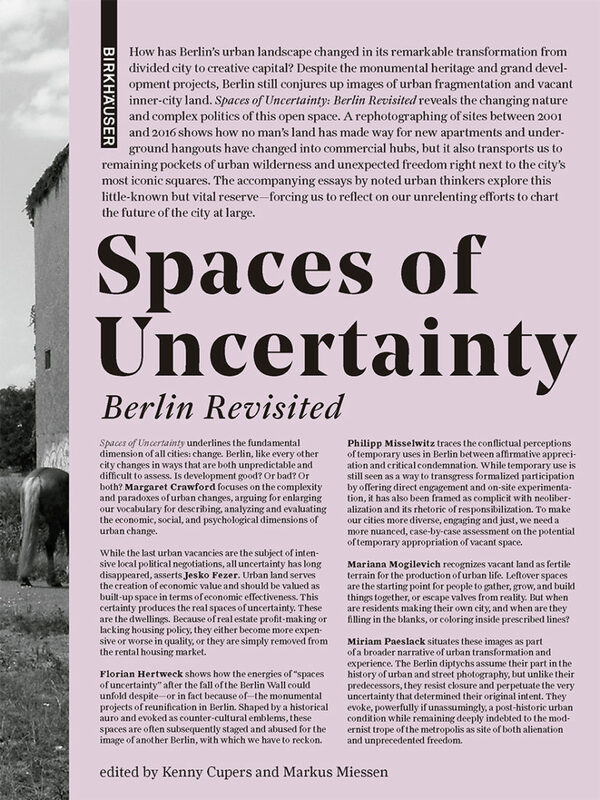 How has Berlin's urban landscape changed in its remarkable transformation from divided city to creative capital? Despite the monumental heritage and grand development projects, Berlin still conjures up images of urban fragmentation and vacant inner-city land. The book reveals the changing nature and complex politics of this open space. A rephotographing of sites between 2001 and 2016 shows how no man's land has made way for new apartments and underground hangouts have changed into commercial hubs, but it also transports us to remaining pockets of urban wilderness and unexpected freedom right next to the city's most iconic squares. The accompanying essays by noted urban thinkers explore this little-known but vital reserve--forcing us to reflect on our unrelenting efforts to chart the future of the city at large.